With over 100 albums under their belt, Tangerine Dream are undoubtably one of the most prolific bands of all time. From Risky Business to Thief, their distinctive sound was almost ubiquitous at a time. It’s impossible to ignore the band’s impact on the development of krautrock either. Labelled the “Pink Years”, the early albums made a big impression on many of their peers. In fact, founding member Edgar Froese coined the term “kosmiche” as he searched for a word to describe the music on sophomore LP, Alpha Centauri. 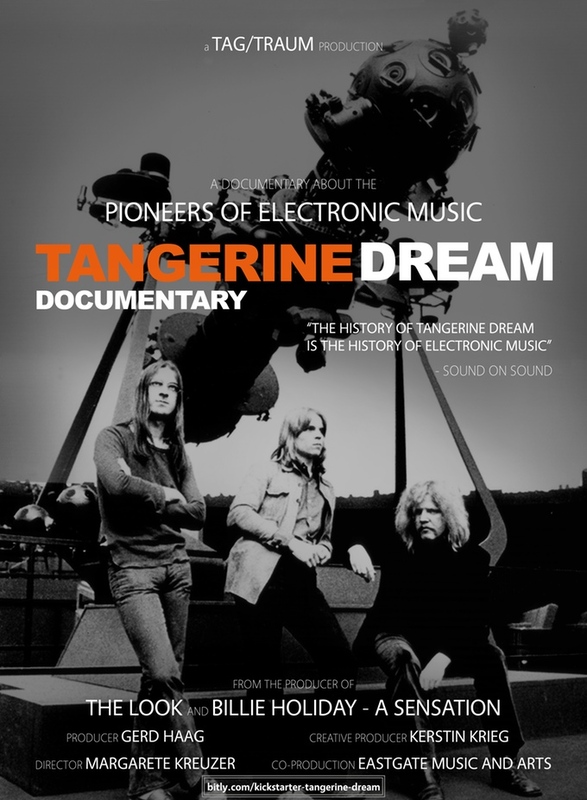 Their soaring sonics have even crept into popular culture in the 21st Century, scoring the soundtrack for Rockstar’s infamous Grand Theft Auto V.
Sadly, Froese passed away last year, so what was originally conceived as a mini-documentary has been fleshed out into an in-depth look into all that is Tangerine Dream. Featuring interviews with former members, contemporaries and collaborators including Thief director Michael Mann and Froese’s wife Bianca, it should provide fascinating insight into this pioneering band. A Kickstarter campaign to fund the documentary begins in May.